With the launch of Skylake closing in, memory manufacturers are pumped and ready to unleash their latest memory kits for support of Intel’s next generation mainstream platform. 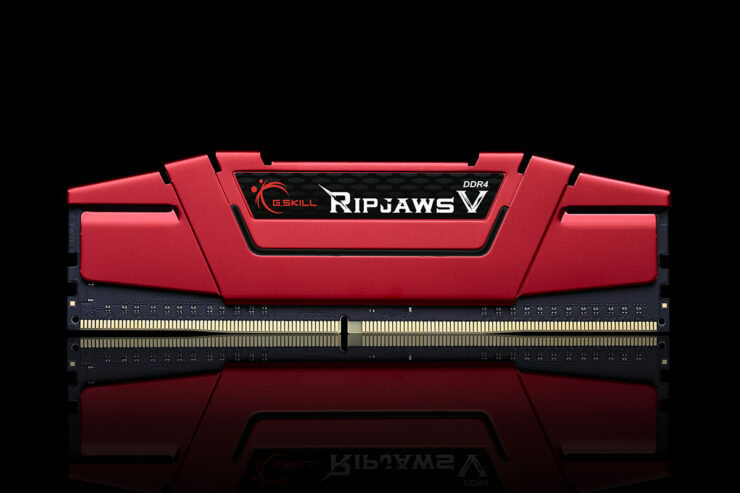 G.Skill, the major manufacturer of memory, SSD and gaming peripherals has launched today, two high-performance DDR4 memory families that will include the Trident-Z and Ripjaws V series. Starting off with the Trident-Z family which will feature clock frequencies ranging from 2800 MHz up to a staggering 4000 MHz, this family will include kits in 8 GB, 16 GB, 32 GB and 64 GB capacities. The memory shipped will have variation of timings and will range from 1.2 – 1.25V models in the 2800 MHz kit to the standard 1.35V kits and 4.0 GHz kit with up to 1.4V. The Trident-Z family is built with the highest quality, Samsung IC memory chips and features full overclocking support with Intel’s XMP 2.0 mode (Intel Xtreme Profile 2.0). The kit features a brushed metallic heatsink with dual color construction and single-piece design that effectively transfers heat from the chips to the heatspreader. 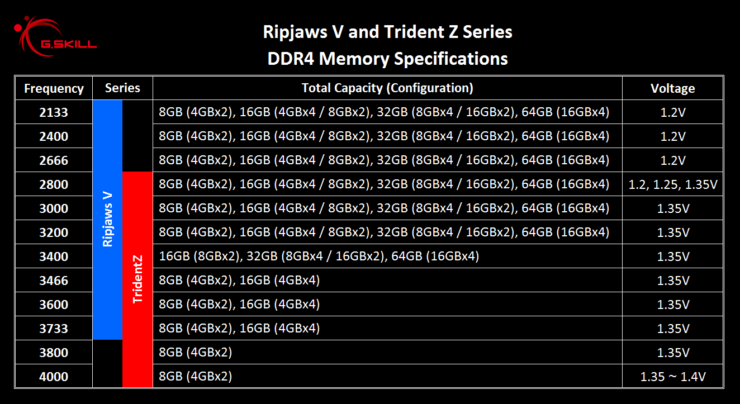 The design for the Trident-Z really stands out from the rest of DDR4 memory offerings. 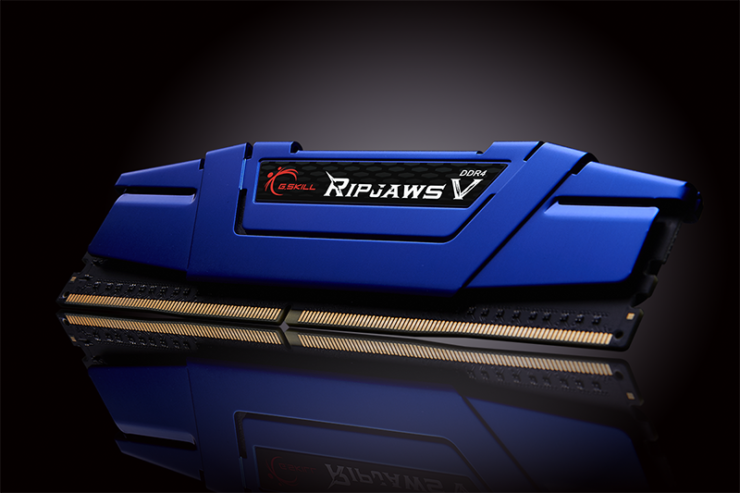 The second family is the Ripjaws V which is the latest iteration of G.Skills renowned Ripjaws brand which has lasted the consumer space since many years. The kits are available in five different colors that include Blazing Red, Steel Blue, Radiant Silver, Gunmetal Gray, and Classic Black. These memory are also available in capacities ranging from 8 GB up to 32 GB with maximum clock speeds of 3733 MHz. 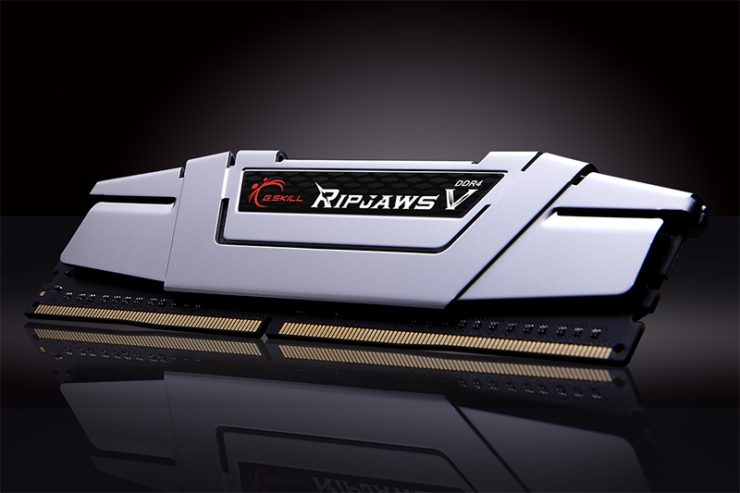 Press Release – G.SKILL International Enterprise Co., Ltd., the world’s leading manufacturer of extreme performance memory, solid state storage, power supplies, and gaming peripherals, is extremely thrilled to announce the first retail memory kit to break through the 4000MHz barrier and two brand new memory series – the Trident Z and Ripjaws V series – with updated performance specifications designed for the latest 6th generation Intel Core Processors and Z170 motherboards! 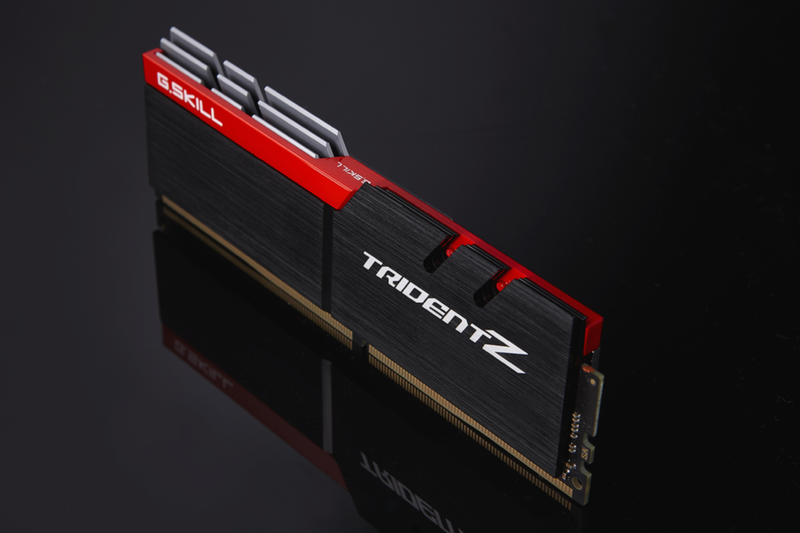 Trident Z Extreme DDR4 Memory – It’s Over 4000! 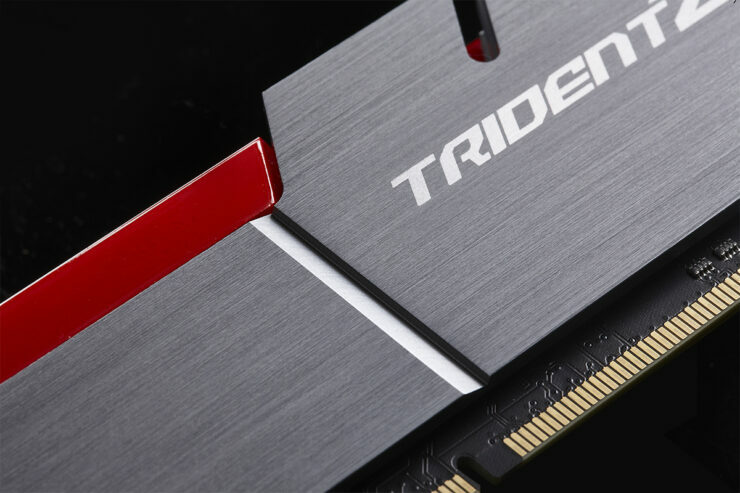 The new Trident Z DDR4 memory is the successor to the high-end Trident memory series and making its debut on the latest DDR4 standard, designed and tested for the next generation Skylake-S platform! For the first time in the history of extreme memory kits, Trident Z is entering the arena with a 4000MHz memory kit, built with highest-end Samsung IC memory chips and validated on the ASRock Z170 OC Formula motherboard. 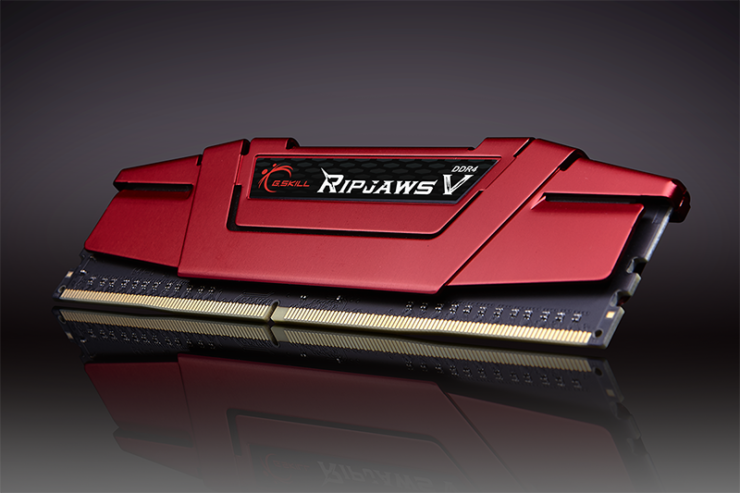 Featuring a single-piece design that allows direct heat dissipation from heatspreader to cooling fin, dual-color construction for the ultimate system builds, and extreme XMP 2.0 support for simple overclocking setup that ranges from DDR4-2800MHz all the way to DDR4-4000MHz, nothing else comes close to the brink of extreme. 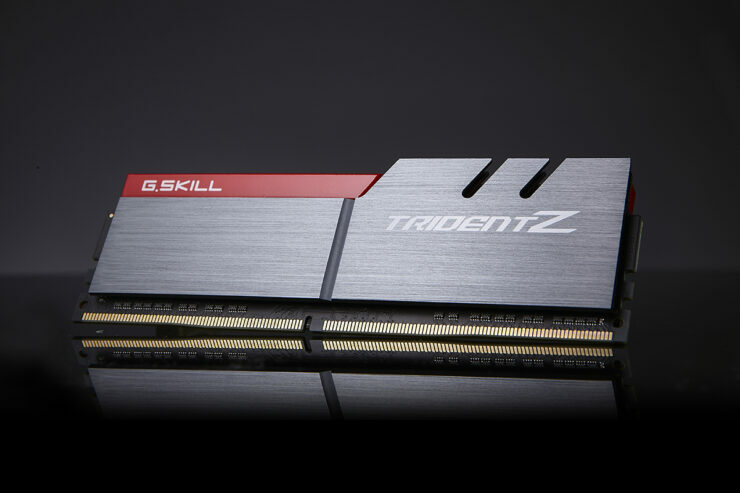 Built with exceptionally hand-screened IC chips selected through a secret process developed from years of overclocking experience, Trident Z is the premier of extreme performance. With a new generation, comes a new heat spreader design concept. Game in style; work in style. 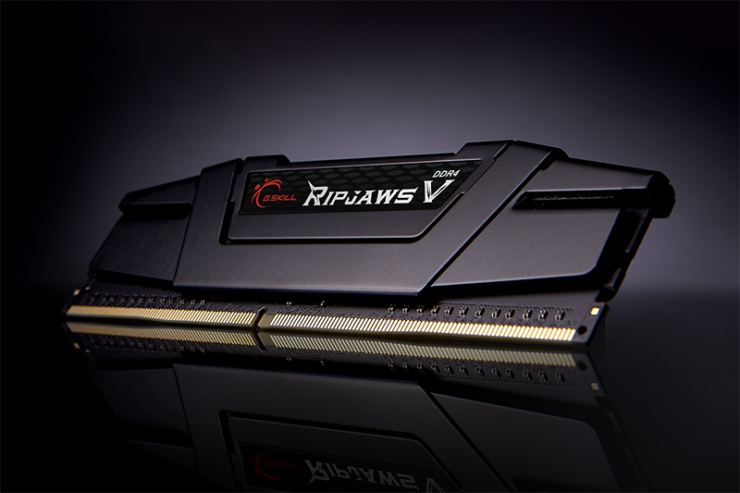 Ripjaws V is the newest member of the classic performance Ripjaws family, featuring suave new looks in five illuminating colors: Blazing Red, Steel Blue, Radiant Silver, Gunmetal Gray, and Classic Black. 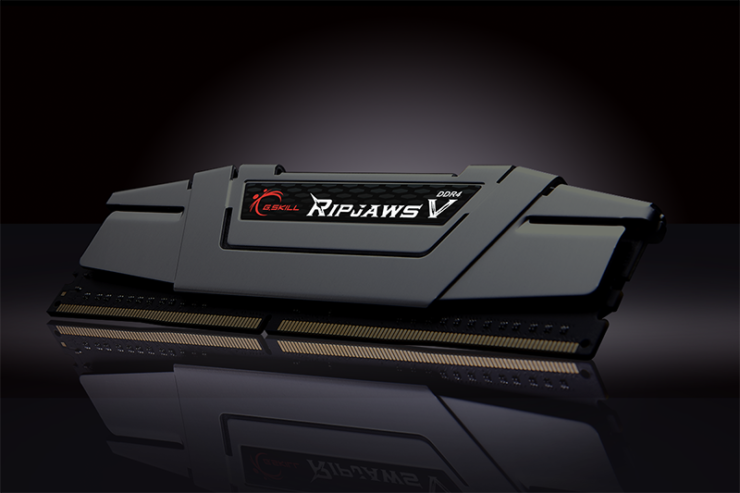 The Ripjaws V series DDR4 memory will be available in kits of various configurations and capacities, comprising of 4GB, 8GB, and 16GB modules with performance ranging from the standard 2133MHz to staggering 3733MHz at ultra-low voltages. The high-density 16GB single modules are manufactured from highly selected Samsung IC memory chips, packing both capacity and performance in a single module. And of course, all high performance kits are XMP 2.0 ready for easy BIOS tuning and setup, as well as rigorously tested under hours of grueling benchmarks and memory validation testing software on the latest motherboards from major motherboard vendors for maximum performance, compatibility, and stability. 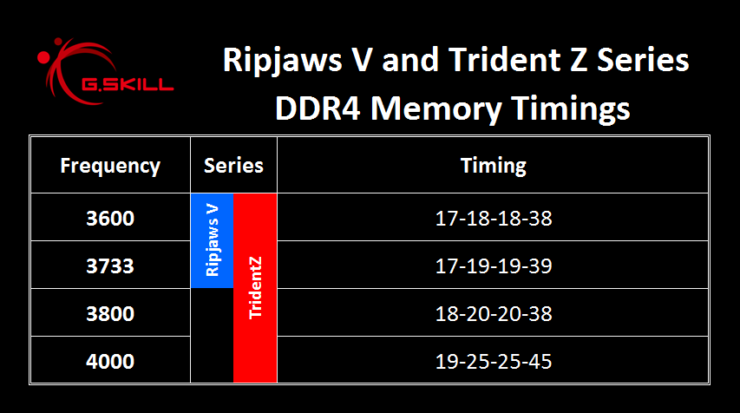 With the updated new specifications, your next generation Skylake-S platform can run smoother than ever with more memory capacity options with the brand new Ripjaws V or Trident Z memory kits. See below for a range of specifications that will be available. Many thanks to Metro for the tip!